While the navigation in V2 is very similar to Classic, there are some essential differences that are important to know when switching to V2. In this guide we will go through some of these changes and some additional features that come with V2. 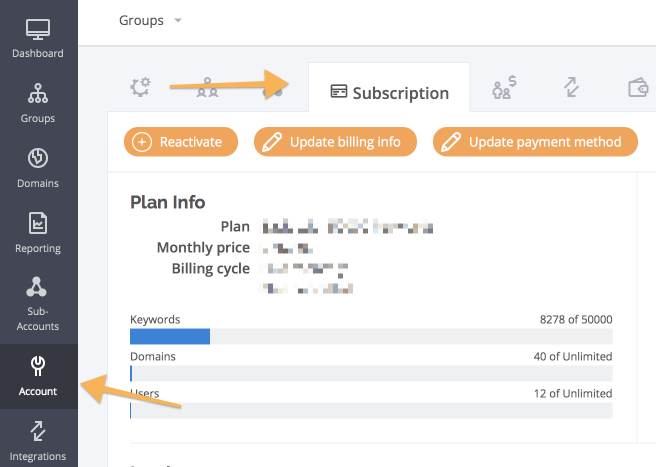 We've cleaned up the dashboard to make it show more at a glance data for your domains. You can now see how many keywords each domain uses, the Share of Voice and ranking distribution. Account Usage has been moved to account settings under subscription details. New way to Compare data. 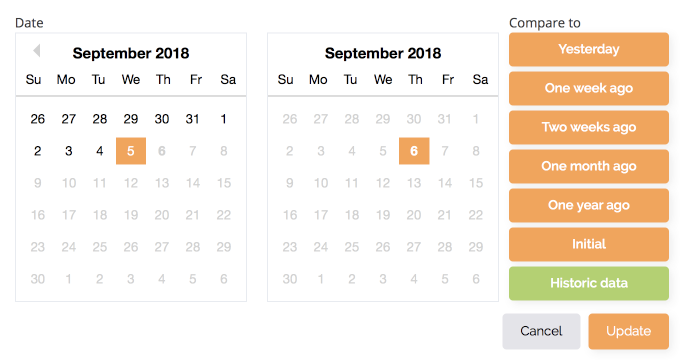 In the new Dashboard and throughout all keywords pages you'll see a "Compare to" button that shows you which date you are comparing the data with. By default we always compare to yesterday, however this can changed in Profile settings. Downloading instant reports, now automatically download whatever is in the keywords list, meaning any active filters and "compare to" dates also apply to the report. You can read more here. You can now decide which columns you want shown in the keywords list. 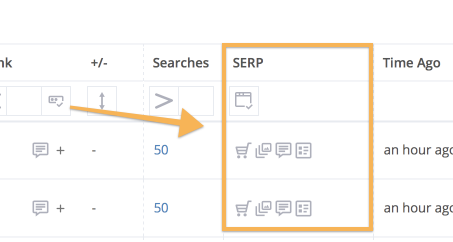 The "SERP" column shows you all various features in the SERP column, simply click on the icons to get a definition of what the different icons mean. For a more comprehensive guide, click here. Landing Pages and Tag Cloud combines data from AccuRanker and Google Analytics, to show data for your landing pages and tags.